The Constitutional Convention in 1787 debated the institution of slavery. In the speech below Gouverner Morris, a Pennsylvania delegate, described the negative impact of the institution on both North and South and in doing so made public at the highest level the division that would eventually cause the Civil War seventy four years later. IT WAS A NEFARIOUS INSTITUTION-It was the curse of heaven on the States where it prevailed. Compare the free regions of the Middle States, where a rich & noble cultivation marks the prosperity & happiness of the people, with the misery & poverty which overspread the barren wastes of Va. Maryd. & the other States having slaves. Travel thro’ ye whole Continent & you behold the prospect continually varying with the appearance & disappearance of slavery. The moment you leave ye E[astern] Sts. & enter N[ew] York, the effects of the institution become visible; Passing thro’ the Jerseys and entering Pa.-every criterion of superior improvement witnesses the change. Proceed Southw[ar]dly, & every step you take thro’ ye great regions of slaves, presents a desert increasing with ye increasing proportion of these wretched beings. Upon what principle is it that the slaves shall be computed in the representation? Are they men? Then make them Citizens & let them vote. Are they property? Why then is no other property included? The Houses in this city (Philada.) are worth more than all the wretched slaves which cover the rice swamps of South Carolina. The admission of slaves into the Representation when fairly explained comes to this: that the inhabitant of Georgia and S. C. who goes to the Coast of Africa, and in defiance of the most sacred laws of humanity tears away his fellow creatures from their dearest connections & dam(n)s them to the most cruel bondages, shall have more votes in a Govt. instituted for protection of the rights of mankind, than the Citizen of Pa. or N[ew] Jersey who views with a laudable horror, so nefarious a practice. He would add that Domestic slavery is the most prominent feature m the aristocratic countenance of the proposed Constitution. The vassalage of the poor has ever been the favorite offspring of aristocracy. And what is the proposed compensation to the Northern States for a sacrifice of every principle of right, of every impulse of humanity. They are to bind themselves to march their militia for the defenses of the S[outhern] States; for their defence ag[ain]st those very slaves of whom they complain. They must supply vessels & seamen, in case of foreign Attack. 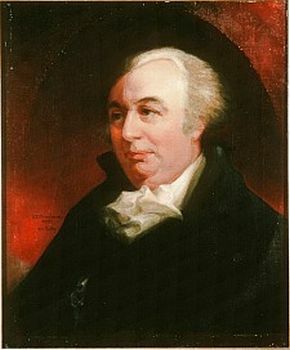 The Legislature will have indefinite power to tax them by excises, and duties on imports: both of which will fall heavier on them than on the Southern inhabitants; for the bohea tea used by a Northern freeman, will pay more tax than the whole consumption of the miserable slave, which consists of nothing more than his physical subsistence and the rag that covers his nakedness. On the other side the Southern states are not to be restrained from importing fresh supplies of wretched Africans, at once to increase the danger of attack, and the difficulty of defense; nay they are to be encouraged to it by an assurance of having their votes in the Natl. Govt. increased in proportion, and are at the same time to have their exports & their slaves exempt from all contributions for the public service. Let it not be said that direct taxation is to be proportioned to representation. It is idle to suppose that the Genl Govt. can stretch its hand directly into the pockets of the people scattered over so vast a Country. They can only do it through the medium of exports imports & excises. For what then are all these sacrifices to be made? He would sooner submit himself to a tax for paying for all the Negroes in the United States, than saddle posterity with such a Constitution. Josh Gottheimer, ed., Ripples of Hope: Great American Civil Rights Speeches (New York: Basic Civitas Books, 2003).